If you’re a digital artist, and you love computer games, it is more likely than not that you often mix these two passions together. Putting your imagination on screen and seeing it manifest into various different tools, creatures and landscapes can be a dream come true! Many people who possess artistic skill and love gaming manage to mix these two things together and try their luck at scoring a game designer’s job. And who wouldn’t want that! One of the main things that this career path is famous for is the video game designer salary. In this article, we’ll try to figure out whether the rumors are true or not. At the very beginning. I’ll tell you about the career path itself. If you’re reading this article, you probably already know what a computer game designer does. However, just to be sure, we’ll try to have a very TL;DR version of the job description. After that, I’ll tell you about the main types of video game designers that there are. This is important, since the video game designer salary is heavily reliant on these specific types. After all of that is said and done, we’ll move on to actually talking about how much do video game designers make. 2 Not Every Game Designer is the Same! To start things off, let’s talk about the technical side of things. 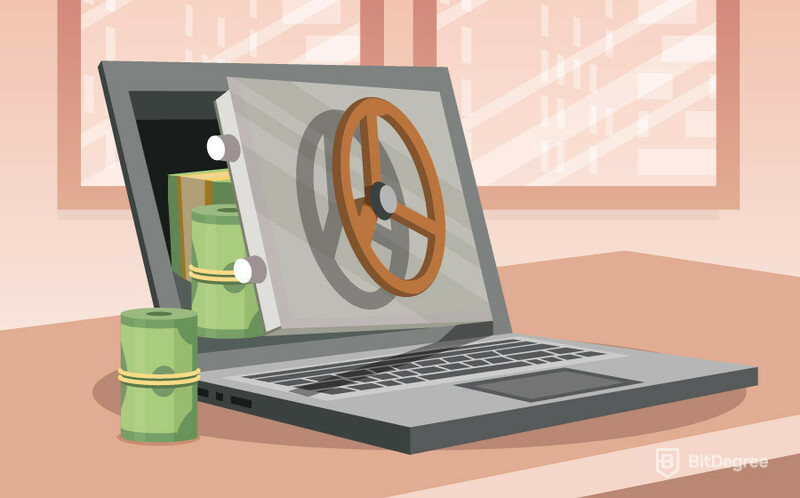 A great video game designer salary is always nice, but what will you exactly have to do for your day-to-day activities to earn it? Video game designers have very broad job descriptions. Sure, one might think that all that a designer does is draw and design specific parts of a game, but there are many more responsibilities that a person working in this field must uphold. First of all, game designers are responsible for many different parts of the game, not only the landscape or character design. As an example, you could take a look at any game’s UI (user interface). Navigation, buttons, icons and everything in between are the designer’s responsibilities. Game designers don’t only work on one project that has a specific release date. At least that’s not the common scenario – there are exceptions, especially if a company is working on a AAA release. However, with the popularity of online-based games constantly increasing, more and more game designers find themselves in companies that work with MOBAs or MMOs – Massive Online Battle Arenas or Massive Multiplayer Online games. Since these games are always changing and adapting to the various market trends, game designers have a constant flow of work. So, to put it very simply, game designers have many more responsibilities than just designing a character or a landscape for a single, specific game. That being said, if you actually enjoy the gaming culture as a whole, multiple tasks are a welcome challenge more than anything else. Not Every Game Designer is the Same! If you’ve ever looked into the various job descriptions online (be it for a game designer’s position, or anything else), you might have noticed that most jobs have some sort of a sub-title attached to them. There are three common tags that you might see repeatedly coming up – beginner (entry-level), junior and senior. They’re quite self-explanatory, right? Just different tags used to classify jobs that require different skill and experience levels. Well, although that’s true, these tags actually carry a much deeper meaning. Different types of game designers will work on different projects. This means that a beginner designer might not get to work on a AAA title, as much as he or she would want to. Furthermore, as the job tags upgrade and a person becomes more proficient in what they do, so will the responsibilities and the number of tasks increases. With that said, it is only natural that a junior video game designer salary will be significantly bigger than that of a beginner one. The tags are there for a reason, after all – most reputable sites online that analyze job salaries segment them into different categories, all based on the specific tags mentioned above. Now that you have an idea of what these tags are and what exactly they are used for, let’s take a look at the different types of video game designers that there are. Once we develop a general idea of what each of the titles carries with them, we’ll jump straight into the actual video game designer salary overview. The beginner game designers are some of the most motivated people that enter the industry. These are generally either students that are finishing their university degrees or people who have learned some game designing skills all by themselves. In most cases, beginner game designers have no experience working in a company. They’re not educated in all of the small details of what such a job brings to the table, and don’t really know how the tasks that they might get even work. This is why the vast majority of universities require students to have a certain amount of hours spent in a company, practicing. Some of these practices are paid, others – not. This can heavily impact the beginner video game designer salary. Furthermore, even if an entry-level game designer manages to acquire a job in a company without having any prior experience, they will have to pass a “test period”. Basically, test periods are usually a few month-long periods of time in which employers evaluate whether or not a person is suitable for the job. In this time, the designer can also get a feel for the company and the job itself, and find out if he or she likes it or not. Since a big portion of game designers expect to be able to work on huge and world-renown projects straight off the bat, they might get heavily demotivated with beginner tasks, and turn their career paths some other way. When it comes to the entry-level video game designer salary, it’s probably something that a lot of people would expect. No one really talks about the starting salaries, since they aren’t really all that impressive (especially if you compare them with the senior ones). But more on this topic later – now, let’s take a look at the junior group. The junior type of game designers are people who are already somewhat proficient and skilled in what they do. Whether it be personal projects, practice work or anything else, the junior title means that a person doesn’t require any hand-holding – they already have an idea of what they’re doing. That being said, it doesn’t mean that junior designers don’t require any supervision, however. The fact that they kind of know what they’re doing means that they are probably capable of working on their own, but skill level-vise, there’s still plenty of room for improvement. Junior game designers are also the most popular group of the three, but also the most difficult one to analyze. Game design isn’t an exception, though – this can be seen in most other jobs as well. Why is that? One word – overlap. Do you know when a beginner game designer becomes a junior one and starts getting paid a junior video game designer salary? Or when a junior designer becomes a senior one? That’s the point – no one really knows this! There are no pre-defined guidelines – it all depends on the company! Sure, there are certain skills and abilities that a person should possess to advance “to the next level”, but this is very vague. Because of this reason, a lot of people are given the title “junior game designer” when the truth is that they are still very much beginners. The same can be said about senior designers – no one knows for sure when the transition happens – it all depends on the individual and the company that he or she is working for. 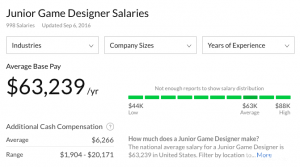 When it comes to the junior video game designer salary, this is really tough. It’s difficult to claim a specific sort of a number when the number is changing daily! However, some websites still manage to provide a rough estimate – and that is what I’ll show you when we’ll be talking about how much do video game designers make. The most respected and admired group of designers, senior members of a company are people whose lives revolve around their careers. Senior game designers are the people behind some of the best and most beautiful games ever made. They possess multiple years of experience and skill development that guarantee the quality of their work. These designers are tasked with the most difficult assignments in the company. And yes, I said assignments – it’s rare to find a senior game designer that would be working on a singular project. Whether it be a triple-A game design or managing newcomers to the team, senior designers are essential members of any company and team. That being said, it is only natural that their video game designer salary would represent and signify that! Now that you have a better idea about the three main groups of video game designers, we can finally move on to the actual numbers. So, without further ado, let’s check out the different kinds of video game designer salary that there are. 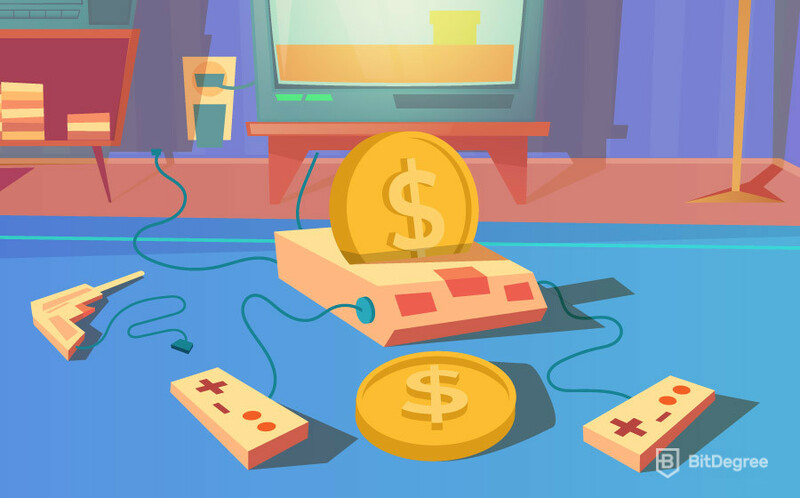 We’ll start off and talk about the video game designer salary in the same order in which I’ve listed the different types of tags that a game designer might have – starting from the entry-level up to senior. This means that you can expect the numbers to keep on growing from the very first one mentioned. 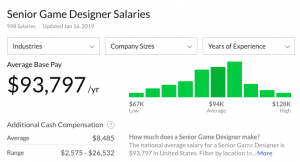 Do keep in mind, however, that these numbers are just estimations, and they might vary quite heavily from the actual video game designer salary that you’d receive. As I’ve stated a bit earlier on, the entry-level (or beginner) video game designer salary isn’t really something that’s looked up to. Given that a lot of students are working half (or completely) unpaid, this doesn’t really associate with huge amounts of income. However, just what sum exactly are we talking about? Payscale.com estimates that the average junior video game designer salary should be around $55,500 USD annually, or $4625 USD per month. If you were to compare this number with the average monthly salary in the US (which is around $3700 USD), that’s actually pretty good. However, some people don’t really like working on non-priority, learning based tasks. The fact of the matter is this: if you work hard and show your employers that you’re really motivated to stay in the company and develop more serious projects, you might advance the designer ranks sooner than you could expect. I think I’ve said enough about the objectivity of the junior video game designer salary in the previous chapters. However, Glassdoor.com still provides a seemingly accurate estimation of just how much do video game designers make. According to the site, a junior designer can expect to make anywhere around $63,200 USD per year, or almost $5300 USD per month. In all honesty, this is a great salary! Especially when you keep in mind that junior game designers spend half of their time working, and the other half researching and learning to further develop their skills. The senior video game designer salary is what most people reference when they talk about game design being a really profitable career path. But just what amounts of money are we talking about here? According to GlassDoor, a senior game designer can expect to make almost $93,800 USD per year, or a bit over $7800 USD per month. That’s a pretty stable salary! It especially seems great when you know that it’s more than double that of the average salary in the US. So – now you not only know the salaries that video game developers can expect, but also a bit about the career opportunity itself. I hope that this article was helpful and answered all of your questions. If you’re thinking about becoming a game designer yourself, I wish you all the best!